Please forgive the length of my last blog. Believe it or not it was longer but I edited some things out. I’m afraid I was suffering from education overload. Each day we start the Growth Summit at 8 AM. When that concludes at 4 PM Gazelles coaches gather for another two plus hours in additional education and planning. This blog will be short. A couple of things Rackspace’s Graham Weston presentation offered bear emphasizing. 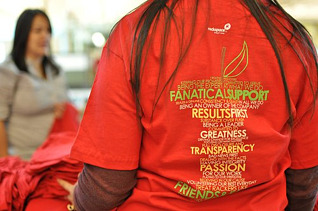 Rackspace’s Brand Promise is to provide fanatical tech support to their customers. They promise to get hardware fixed or replaced in an hour or it’s free. They also realize that their customers hate waiting on hold, so they answer the phone in three rings or less, and they make sure that the customer can get their problem fixed within one phone transfer. We’ve all had nightmares with customer support! Trying to speak to a human being and navigating an automated answering computer is just the start. What is usually a stressful, agonizing experience is made quick and painless because of Rackspace’s Brand Promise. I provided you with their financial success in my last blog, How to Beat Goliath. Rackspace is on its way to becoming a $1 billion revenue company. That’s the power of figuring out what your customer really needs. Once you figure this out, you’re one step closer to finding your Brand Promise. If you believe providing customer service like this is a snap, take a look at the Net Promoter Scores phone and cable companies offer their customers. They’ve been at this for much longer than Rackspace but haven’t figured it out yet. Weston provided a slide from the movie A League of Your Own to prove his point that hard is good. 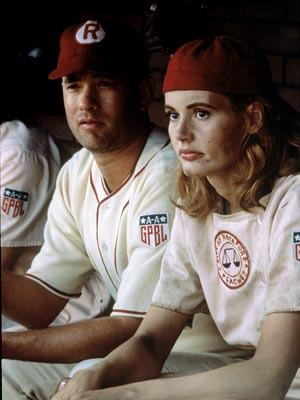 In it Tom Hanks character manager Jimmy Dugan is quoted, “It’s supposed to be hard. If it wasn’t hard everyone would do it.” That’s the key to choosing and developing a brand promise that is difficult for your competitors to enter. The hardness of doing it is the barrier and it becomes your advantage. Weston closed his presentation with a video from Miracle on Ice that is another good example of the impact of culture and the discipline of choosing the right people. If you’ve seen the movie you know the pains coach Herb Brooks took to choose the people he believed could win the Gold and defeat the Soviet Union. Great moments are born from great opportunities. The video is a sure motivator and inspiration if you every need one. Watch Kurt Russell’s character delivery of Miracle on Ice pregame speech This is your time. Where’s the opportunity in your business? What would be hard for your competitors to copy? 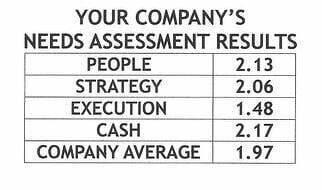 What would be hard to do, yet worth the impact it provided to differentiate your business? There’s much more to offer from the Growth Summit next week. Success Magazine publisher Darren Hardy offered insight into the difference between over achievers and super achievers. It’s a lot simpler than you’d think!